Soda bottle planters, also called sub-irrigation planters or self watering planters, are an inexpensive way to grow a variety of plants indoors. They’re also useful in teaching kids about the science of growing plants from a seed by allowing them to see what’s happening through the bottle. Making a soda bottle planter isn’t difficult and enables you to grow a variety of plants without a garden. Soda bottle planters are also a great way to recycle. 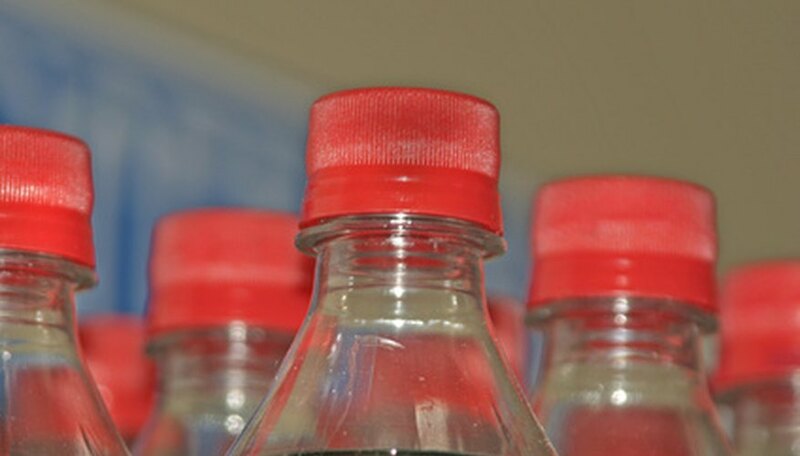 Remove the label and the cap from a clean two-liter soda bottle. Set the bottle on a hard surface (like a table) and lay a marker horizontally over a 14-ounce can, pressing the tip against your bottle. Rotate the bottle to mark a line around it. The can helps to guide the marker in a straight line all the way around the bottle. Poke holes into the neck and around the top of the bottles using a metal skewer. If you heat the skewer over a burner it will push through with ease, but remember the metal is extremely hot. Make an entry cut along the line you marked in step three using a utility knife. Sometimes it helps to warm the blade, but this isn’t necessary. Lay the bottle down on a flat surface (that you aren’t worried about cutting accidentally) and position your hands so that you can hold the bottle with one hand well away from the line. Poke a scissor blade into the entry cut and cut the bottle following the marked line you made in step two. Trim both ends (top and bottom) to smooth out the edge. The cut will be jagged from the scissors and trimming helps to avoid cuts and makes a better looking planter in the end. Flip the top of the bottle over and insert it (neck down) inside the bottom section. Trim the bottom half of the bottle using scissors until the top fits so that the neck touches the inside bottom of the bottle. It might help to mark the cuts with your marker before cutting to keep the line even and straight all the way around. Cover the sharp edge of the cut ends with duct tape if desired. Lay a wick (about one-inch wide by three inches long) made of polyester (felt) or cotton batting material inside the neck. It should lie horizontally across the neck and works as a water retainer. Pour potting soil into the planter over the wick. Press the soil firmly down until you wick protrudes slightly at the neck opening. The wick will hold the soil inside the planter and ensures contact with the water. You can leave the cap on and insert a string through the hole but the wick method will keep the soil in as well and works better as a water retainer than the string. It is also permanent. There is no need to remove the wick. Place the top section with the soil into the bottom section and plant your seeds and water.